For those who have already been in the treasure detecting activity for a while, evolution and development of skills also mean evolution plus development of their equipment. Detectorists update software, purchase accessories, buy more expensive items, at the same time learning to interpret the signals more accurately, work with pinpointer, identify promising locations for searching. Eventually, the majority of experienced seekers comes to the point when they want to try out an underwater metal detector or beach metal detector. However, how to opt for a decent waterproof metal detector? To make an informed while adequate choice of the best waterproof metal detector, you have to understand in the first place, whether you need the best underwater metal detector, or the best metal detector for beach? 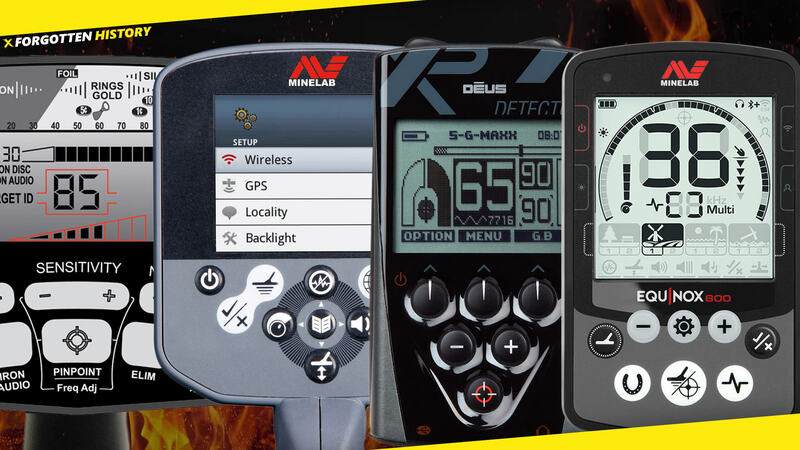 Each best metal detector waterproof to a certain degree, so to opt for the one for yourself, you have to know what locations you are interested in. To help you make the right choice, we have developed a detailed guide and review of all the top machines available on the market today. To understand how to opt for a decent submersible machine, the potential buyer should first of all be aware that there are no low quality submersible metal detectors. The main point is, only very experienced brands can afford to buy patented technologies, or develop their own, research, test, then manufacture a totally waterproof instrument. The main issue many people face is the difference between submersible versus waterproof machines, so, it is important to tell one from the other. So, the totally submersible machine can be submerged underwater for 9 feet average. These tools also work fine on the ground, on wet soils, etc., but the innovative technologies are adjusted specifically for underwater search. Seashore machines work fine in wet weather, on wet sand or sal water, but can be submerged to a certain point, for example, till the control box, or only the coil can be submerged. It is easy to pick a submersible machine, because currently, there are few of decent options on the market, so you will find the one you like best, easily. They are also very expensive, but the quality plus excellent features are worth the money. The peculiarity of the best metal detectors is in the fact that they can also be used for underwater search, as some of them can be submerged for a feet or two. They are more affordable than the submersible models; it is also totally possible to use them just for the seashore to spot some gold or silver lost by the people recently. Seashore items are cheaper (but they are still expensive compared to average machines), to provide more variability in terms of location. stable performance in salt water with prevention of noise in salt water. To be able to pick the right waterproof machine, check out our detailed informative review of the top items available on the market currently. You will read about the main differences and features, innovative technologies, plus new approaches. We recommend only worthy items. In our rating of the waterproof machines in particular, we give preference to totally isolated submersible models. These are top three in the list that can be submerged deep underwater, operating there for long periods of time. The other seven models correspond to the IP68 code of waterproof, meaning they can be submerged underwater up to three feet to operate there for half an hour. It must also be said that for mixed locations, seashore machines are more suitable than purely submersible ones. Those items that combine this aspects in the best variation for the user get the top positions in the list. This is the top submersible machine among the all possible items available in the niche. Although it is totally universal and provides seamless performance on land, on the seashore, on small depth, and on the depth of 200 feet, its main feature is Broad Band Spectrum technology making it ideal for underwater search. Minelab Excalibur 2 weights almost 20 lbs, has multiple frequencies, hardwired headphones, offers discrimination mode, all-metal mode with pinpoint regime, plus the ground balance is set by automatic ground rejection. This last feature is absolutely excellent in this item, making it extremely handy as well as efficient. Sensitivity can be adjusted manually depending on the conditions. The tool is powered by NiMH battery pack 13V 1000 mAh, while the battery life is comparatively short, from 14 to 19 hours, but let’s be honest, you just won’t spend that much time in one go on the depth of 200 feet. There is a disadvantage that the company gives only one year of warranty, but on the other hand, this machine is expected to be subjected to some severe trial, so naturally it can be damaged. However, the bunch of features it provides is totally awesome: the coil can reduce the noise from worthless objects and salt water, and increase the weak signals from worthy objects. This instrument is less expensive than the top one in the list, but still it costs a lot. It is recommended by the experts for surf hunting and treasure diving. Generally, the combination of quality, features, usability and price is very good, and this is one of the reasons why this model is loved so much by users around the world. This machine literally ignores salt water and operates equally in salt and fresh water, plus shows stable performance on land. Enhanced usability is demonstrated by the fact that the electronic housing for the detector can be attached to the hip or arm, which makes the search more comfortable. The Discrete Trash Elimination regime enables the user to dig only valuable objects and ignore the trash. The main specifications are as follows: pretty heavy (5,75 lbs), one tone, eight AA batteries to power the instrument, adjustable length of the shaft. The modes are Discrimination and All-metal. Surprisingly, there is no pinpoint mode, and also no in-built flashlight, which makes this model less cool. Despite some disadvantages, this title in particular has already had a reality check, and has tons of positive comments from happy buyers. In addition, the standard kit also includes some free accessories that each customer always enjoys. Plus, Garrett is a respectable brand so the very reputation means the machine is decent. Fisher is the oldest metal detector manufacturing brand in the world, and the quality of its products is out of question. This particular model is pretty expensive, as well, however, its quality is worth the money. In addition to pure quality, the technical specifications include: 6 lbs of weight, three tones for audio identification, is powered by four 9-Volt batteries. The ground balance settings are manual, the length of shaft is adjustable. The search modes are All Metal, Discriminate, and Pinpoint regime. Two operation frequencies are 5 and 15 kHz; the sensitivity can be adjusted manually. The company gives two years of warranty for this cool item, which is a pretty good indication of reliable functionality. Fisher CZ-21 is efficient both on the seashore and underwater, and shows excellent results in salt and fresh water. The tool can be submerged to the depth of 250 feet, and this is really awesome, even the top item in our list does not show this depth. Faint signals from worthy targets are audio boosters, while worthless objects are ignored by the system. Excellent ground balance plus the pinpoint mode allows the user to spot objects very efficiently. The kit provided includes additional accessories, and the product enjoys positive comments from thousands of customers who already uses it for years. This is a super cool, fancy and sophisticated instrument, that was released in year 2012, but it still stays in some of the top positions in the niche. One of its main features is high quality discrimination which makes this item universal and suitable for any type of search, both underwater and on the seashore, plus it performs good when searching for coins. In other words, generally it is good for all types of detecting. This item would have been in the top of our list if it could be submerged deeper than 3 feet; unfortunately, its index is IP68. Another disadvantage is the price. The machine offers a bunch of features. It provides big multicolor display, has GPS navigation built-in, new type of coil, and also wireless headphones. The design of the item is well-developed and the upper part of the shaft with the screen works as a counterbalance to the coil, preventing the user from physical fatigue. The instrument can be fully submerged; in the niche of submersible tools, this is already a standard. But its GPS navigation feature is extremely convenient, since the user sees the route directly on the screen and can operate more efficiently, saving time and effort. This machine also shows seamless performance on the ground, so can be used for various locations. Another Minelab instrument, a bit lower in our review, but still showing decent quality. Here are the main technical specifications: this is a professional device, all-purpose but good for wet conditions and seashore search. Multifrequency tool is equipped with a DD coil, four search modes, plus pinpoint regime. Ground balance can be set automatic or manually adjusted. The weight is moderate, 2,95 lbs. The tool adapts well to various weather, and also different soils; it shows unexpectedly good results on wet soils, specifically on the seashore. Although the tool is not for underwater search, it manages to discriminate objects in the salt water well. The kit can be enriched by wireless headphones and different additional accessories you have to buy separately. To conclude, Minelab Equinox 800 is a very proper instrument suitable for seashore search. If you are not going to dive for treasure hunting, and don’t want to waste money on expensive models, this one is a nice choice. Now we don’t have to tell you Garrett is cool, do we? AT MAX is also cool. Its tech specifications are: all-terrain professional single-frequency tool, the frequency is rather high 13,6 kHz, DD coil, four search modes plus pinpoint mode. The user is able to set the ground balance automatically or manually; the machine is powered by four AA batteries. The weight is average, 3 lbs. The depth of reach this item offers is impressive, up to nine feet, without losing discrimination and clarity of signal. The operation frequency is universal and very flexible, enabling the tool to react comprehensively to objects of all sizes. Wireless headphones, large and convenient display and tap lights add to the user experience. The device is good for seashore search, so we really recommend it as a decent option for treasure hunting. The Nokta Anfibio Multi is the pledge of love of two Turkish brands, Nokta and Makro. So, the whole lineage title is Nokta Makro Anfibio Multi. This new brand has not yet gathered a lot of comments, but the comments we researched is pretty positive, and with time, this brand and its series promise to become some of the top in the industry. Nokta Anfibio Multi has three frequencies for operation; the user can use one frequency at a time, to there is no multifrequency option. Yet, the device works well on the seashore and in salt water. Some of the benefits here are connected to design – the coil cable is placed around the shaft enabling the user to replace it; the handle and the armrest meet ergonomic requirements. You will enjoy as many as nine (!) search modes and underwater performance on the depth of up to 16,4 feet. The item has additional fancy and handy features like wireless headset, vibration, tap lights, and built-in battery. This is a super advanced device with a bunch of features and settings, including, but not limited to: VCO, Salt Track to check the levels of salt in soil, rejection volume setting, tap lights, telescopic shaft, 13,8 kHz frequency, five options for frequency shift to avoid noise, replaceable coil, six search modes plus pinpoint, adjustable sensitivity and volume. This tool is literally stuffed with a bunch of fancy things! It has two years warranty, is powered by eight AA batteries, with battery life reaching 20 hours, and weights almost 4 lbs. The tool is promised to show excellent performance on the ground and in water. The price is a bit too much, but considering the set of features, it is pretty fair. There is one serious disadvantage about this particular model, though. If the user lacks knowledge, skills, and experience in setting the device, and does not understand what settings are suitable for what location, he won’t cope with this model. There’s just too much to set manually. Garrett again! We just cannot but mention another cool machine by this brand. This is a semi-professional device for all terrain conditions, including wet sand, making it proper for seashore search. Its single frequency is 18 kHz, six search modes with pinpoint mode make it variable enough, ground balance can be automatically or manually set, and the tool is powered by standard four AA batteries. This model was developed in the series specifically to hunt for gold nuggets, silver, jewelry, coins, and relics. In other words, this is a machine for treasure hunting, mostly. It spots objects of all sizes, but it is an expert in spotting small targets. Extremely suitable item to work at the seashore. It demonstrates less variability in terms of objects, therefore we placed it by the end of the list. However, if treasure hunting is your passion, and you are not into diving for this, opt for Garrett AT Gold and you will be happy with it. The last but not the list is an item by Makro. This is a professional level single frequency device with six search modes. Pinpoint mode and special Deep mode make search very accurate with this machine. Ground balance can be automatic, manual, or tracking the conditions. It functions underwater on the depth of up to 16,4 feet. The price is also moderate. The reason why it is the last item in the list is its pretty humble performance underwater. It is cool, but nothing really special for that price. Also, the model does not have enough comments from customers to assess its functionality objectively. As it becomes clear after checking out the rating, it is pretty easy to opt for a suitable metal detector for underwater or seashore treasure hunting, because the majority of models have their specific features that make them different from other products. Eventually, it all comes down to the user – the skills and experience, potential targets, potential locations, the frequency of search sessions (will it make sense to buy an expensive tool for one or two sessions per year? ), and so on. Each tool is good enough to invest into it, but some may suit each case better than others, therefore, all you need to do is know what is needed, and what model provides it. Consider your particular case and preferences, define the budget, and take advantage of our rating and lists to purchase the most suitable submersible or beach machine for successful and fruitful treasure hunting!